Have you ever gazed out over a sundrenched foreign cove and wondered how amazing it must be to spend some time bobbing at anchor with a G&T watching the sunset, kissed by a soothing breeze and leaping into an azure sea when it gets a little too hot? 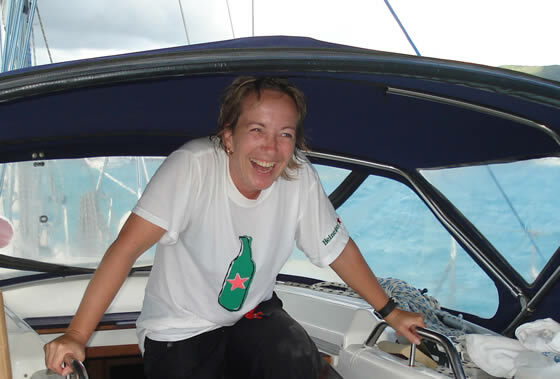 I want to share with you some of the magical, once in a lifetime experiences that sailing can bring. IBIS has ensuite cabins, luxury linens and hot showers; I'm taking her to some of the most beautiful spots I've visited and I'm offering you an open invitation to bring a friend or two to have a laugh with. All I ask is that you leave any preconceptions you might have of a sailing holiday at home with the grey skies and join me for what I truly hope will be one of the most memorable times of your life! 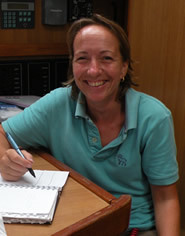 Sam has logged over 25,000nm sailing in many areas of the world – North Sea, Mediterranean, Caribbean, Asia, Indian Ocean….she is an RYA Cruising Instructor and loves to help others discover the joys of sailing for the first time and to polish their cruising skills. In sailing, Sam finds everything that makes life worthwhile – sunshine, companionship, freedom, blue water, unpredictability, adventure, challenges, tranquillity, continual inquisitiveness and exploration …..the list goes on! After several years searching for her latest boat, she has finally found IBIS. Grateful to be living and working on the water, Sam is proud to skipper, own and care for such a great boat.